NOTICE: - THESE ITEMS TYPICALLY ONLY STAY HERE FOR ABOUT A WEEK! IF ORDERING BY PHONE PLEASE MENTION THESE SALES WHEN YOU CALL..
FRONT END LOADER 50" BUCKET - BUCKET ONLY! 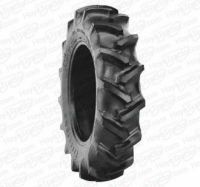 8.3-22 8.3/8-22 R1 Tire Old Stock - SALE!! !